Steel is well-known for its incredible durability against various stress factors. The impact tolerance, tensile strength, and heat resistance of steel far outclasses that of plastic polymers. Stainless steel alloys represent a further improvement that grants enhanced resistance to various caustic and corrosive chemicals. However, just how tough is stainless steel? This is a common question from companies looking to order a stainless steel basket or tray for high-intensity applications. Specifically, many companies with heat treatment processes wonder “what is the melting point of stainless steel?” because they have to use the steel for a high-temperature process, such as annealing or sterilization of other metals. How Much Heat CAN Stainless Steel Take Before Melting? There are countless different formulations of stainless steel out there, from the austenitic stainless steels (such as 304, 316, and 317) to the ferritic stainless steels (such as 430 and 434), as well as the martensitic stainless steels (410 and 420). Additionally, many stainless steels have low-carbon variants. The problem with trying to make a blanket statement about the melting point of stainless steel is that all of these alloys have different temperature tolerances and melting points. You might have noticed that each of these melting points is expressed as a range, rather than an absolute number. This is because, even within a specific alloy of stainless steel, there is still the possibility of small variations in the formulation which can affect the melting point. These are just a few of the more common alloys of stainless steel on the market. There are many more variations of stainless steel that could be used in a range of applications—far too many to cover them all here. While these are the melting points of these stainless steel alloys, the recommended maximum use temperatures of these alloys tends to be far lower. 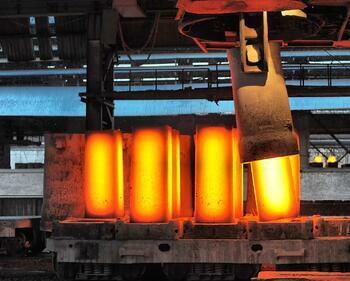 Learn more about the characteristics of steel and other alloys under high heat here! At extremely high temperatures, many materials begin to lose their tensile strength. Steel is no exception. Even before reaching the melting point, stainless steel becomes less rigid and more susceptible to bending when heated. For example, let’s say a stainless steel alloy retains 100% of its structural integrity at 870°C (1679°F), but at 1000°C (1832°F) it loses 50% of its tensile strength. If the maximum load of a basket made with this alloy were 100 pounds, the basket would then only be able to hold 50 pounds of weight after exposure to the higher temperature. Any more weight, and the basket could bend out of shape under the load. Also, exposure to high temperatures could have effects other than making stainless steel easier to bend or break. High temperatures can affect the protective oxide layer that keeps stainless steel from rusting—making it more susceptible to corrosion in the future. In some cases, extreme temperatures can cause scaling on the surface of the metal. This can impact the performance of a parts handling basket or other custom wire form. Or, high temperatures can lead to thermal expansion of the metal in a custom wire basket, causing welded joints to come loose. So, even if your particular process wouldn’t bring a stainless steel parts basket to its melting point, high temperatures could still do damage in other ways. This is why Marlin Steel’s engineering team runs finite element analyses on each and every basket design. By testing the effects of high temperatures on a design, the engineering team can spot potential issues like scaling, and test alternative materials that can prevent such problems from making the design invalid. 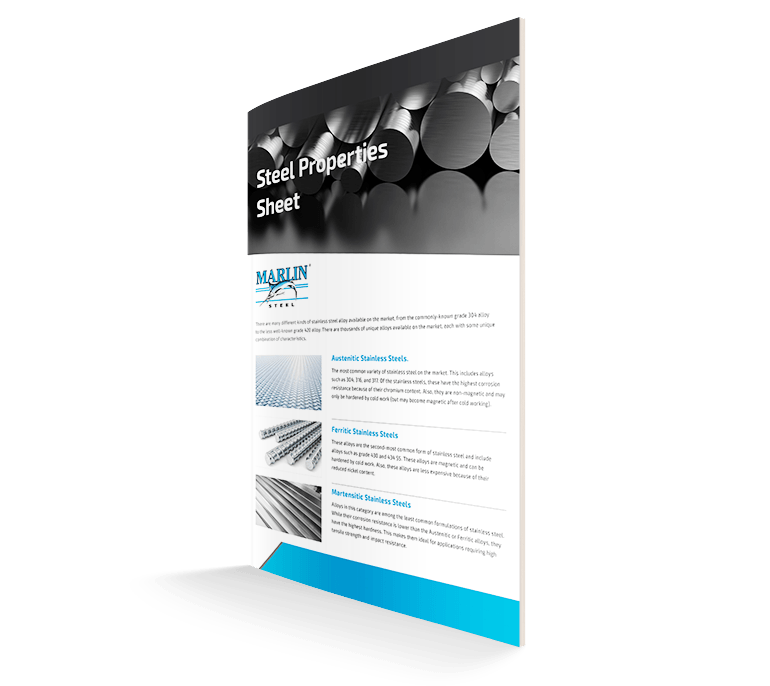 Get more insights into the properties of stainless steel by downloading the Stainless Steel Properties Sheet today! What Grades of Stainless Steel Resist Oxidation at Specific Temperatures?